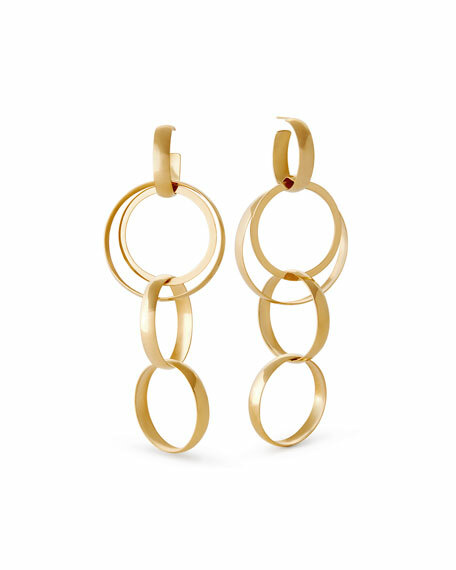 LANA curve bond drop earrings from the Alias Collection. Polished 14-karat yellow gold multi-size hoop drops. Interlocking round open hoop drops. Four hoops approx. 0.2" thick. One hoop approx. 0.09" thick.